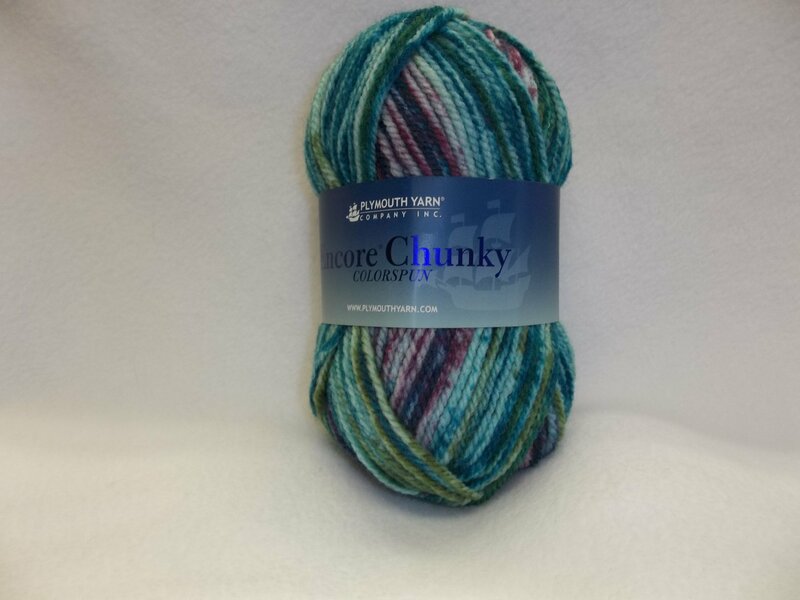 Encore Chunky Colorspun by Plymouth. 75% Acrylic/ 25% Wool. Approximately 143 yards per 100 gram ball. Recommended needle size is US 10/ Hook size is US J/10. Gauge is 3.5 stitches per inch/ 14 stitches per 4 inches; 2.75 Single crochets per inch/ 11 single crochets per 4 inches. Machine wash gentle cycle, tumble dry low.